Over time, we start to notice there is clutter building in our homes, but we are not sure where to start. From our closets to our kitchens, the mess seems to keep multiplying. Below are five items that you need to toss from your home today. Clothes hangers come in wire, plastic, and wood options, and over time our homes accumulate more than we will ever need. 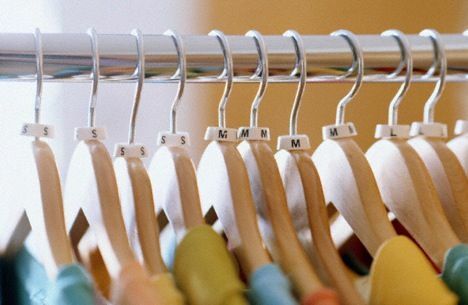 Whether you pick them up from the dry cleaners or store purchases, hangers find themselves accumulating within homes. There is always more than enough, and they clutter up closet space. Find a cardboard box or plastic bin, load up the hanger surplus and drive to your local consignment retailer or dry cleaners. These retailers are always in need of such items and general recycling can be controversial for those wire types. Hangers are difficult to recycle due to their material types, shapes, and finishes. Because of this, donating them is the best option for home removal. Those magazines collecting dust in your magazine rack are ready for the recycling bin. Magazines and other news outlets are becoming obsolete in the world of smart phones. All major magazine subscriptions now have a digital app that allow readers to log in and read the stories from their phone. Load your lingering magazines up in a plastic bin and drive them to the local recycling center. You will be doing a favor for yourself and the environment, since magazines can be recycled into a variety of paper uses. We know about that junk drawer. The one that is home to the decade old cameras with the memory cards. Ancient cell phones also seek refuge here, clogging up space and collecting dust. It is time to dispose of those electronics you will never use again. The cell phones will no longer work with today’s services, and that camera is just an extra piece to carry. How about the iPods and MP3 players that house music from the early 2000s? They, too, have become a figment of the past for music. Smart phones today have the uses of these devices combined in a single device. If you have no sentimental attachment to these devices, local tech stores or your recycling center will be happy to take them off of your hands. Make sure that when you dispose of these electronics, you carry any cords or accessories, freeing up more space for your convenience. It is time to tackle those dreaded kitchen cabinets. 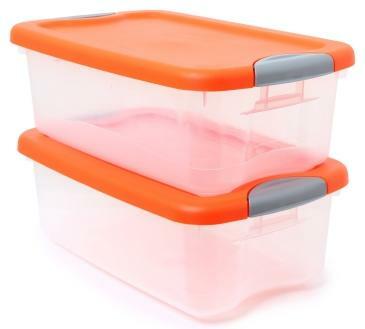 Housed inside one or several, you have accumulated a supply of plastic storage containers, and it is time to regain that cabinet space and declutter. First and foremost, inspect the condition of these containers. Many of them may have seen better days prior to being microwaved for several lunches. Trash any of these containers that are in questionable condition. If you are still left with an abundance of containers, take some and recycle them throughout your home. They are great for storing crayons, markers, and other crafts in the kids’ rooms. Pull out all of the shoes hiding in your closet floor and under your bed, and toss them out. Commit to the one year rule, throwing out any shoe pairs that have not been worn in that time frame. If they are in like-new condition, consider donating to local consignment shops. For those that have been worn, and you have been hanging on to them, it is time to toss. Pack them in a plastic bin or box and head over to your recycling center for their disposal. Disposing of these items in your home today will free up lots of space and diminish the clutter building throughout the home. A clean home is a happy home, so get tossing today! India is known for a great deal of things and innovation is certainly one of them. The country that has long been known as a leader of the tech industry, a forerunner in industry, and a spearhead for many other endeavors now has the distinction of being home to the tallest statute in the world. 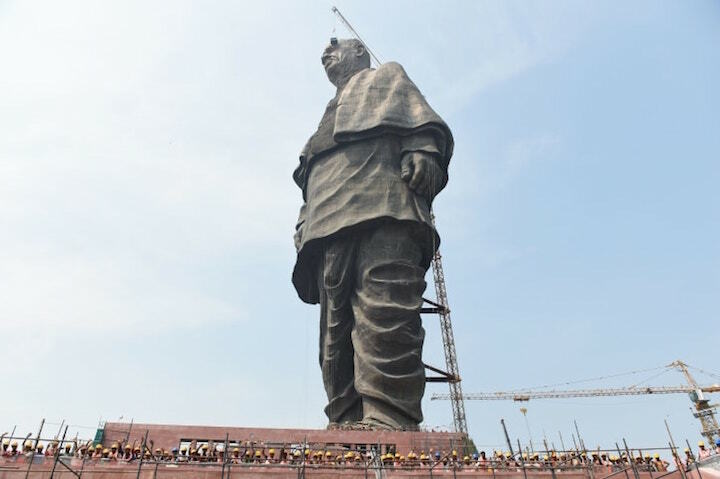 The statue is called the Statue of Unity and is a tribute to the independence leader, Sardar Vallabhbhai Patel, who was once the first Deputy Prime Minister of India. The statue was unveiled on October 31st of this year and is quite impressive to view. The statue was designed by sculptor Ram V. Sutar and is located just above the Narmada River in Gujarat, a western Indian state. The statue was announced years ago and then Prime Minister Narendra Modi said that he wanted the statue to be truly grand, so grand that everyone would stop and take notice the world over. The aim was to make the statue of Sardar Patel larger than the statue of Liberty in the United States, twice as large in fact. The statue is an impressive 597 feet tall itself which is almost twice as tall as the statue of liberty. Its impressive, nearly 600 foot height makes it the tallest statue in the world. The statue, though it was meant to bring unity, seems to have done the exact opposite. The statue cost over $410 million dollars to build, which was pulled from state funds, individual funds, and federal funds. Many residents believe that the money could have been better used had it not been used to build the large statue. So far, there have been many protests about the statue including those by farmers, tribal activists, and many more. Some of the protests have even turned violent which meant that thousands of police officers have had to be deployed to help stop the protests. Local farmers have even stated that they should be compensated for the money that has been taken by the government for various projects that should have come to the farmers. The statute is a great symbol of unity according to the prime minister and he says that he is happy it was built. The statue is supposedly a sign of the integrity and resolve of India. The statue is not going to be the tallest for long however, the western state of Maharashtra India is also building a statue of their own. This state is said to be even larger. The statue is going to be of the Maratha Warrior King Shivaji that is supposed to be a grand 190 meters or 623 feet tall. For now, the current statue is the largest and the prime minister believes it will help draw tourists from far and wide to bring even more notoriety and prosperity to India. Only time will tell what the new statue will mean and what it will look like and how tall it will truly end up being. * Much of Earth’s fresh water is buried deep in the ground and not available to humans. * Surrounding the earth is water in the air formed as vapor. * Ten percent of the human body contains water in the body fat. Muscle contains seventy-five percent of the water. Men should have total body water percentages between fifty and sixty-five percent, while woman total body water percentages should be between 45 and 60 percent. Staying hydrated maximizes physical performance, especially during intense exercise or elevated heat. Dehydration could cause a loss of 2% of the body’s water content which may alter the body’s temperature control. Hydration improves mood, concentration, and memory, reducing anxiety and fatigue. ULLA is referred to as a “smart hydration reminder,” which is a low tech device that is attached to your water bottle and signals you when it is time during the day to drink your water. * It has built-in sensors that blink (LED) when you forget to hydrate after thirty minutes. * There is a sensor which detects when you tilt the bottle. * No need to charge for six months, and has a replaceable six-month battery. For many years, a shady figure lurked in the dark surroundings of a rural town who was stealing from homes and fleeing from people. Nobody couldn’t ever saw the person and even less knew who was behind of that. 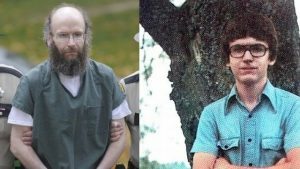 The only thing that people knew is that they were afraid and the police were unable to stop him. This is the incredible story of one most mystery man that ever existed.